There are three main factors to consider when choosing a clasp for your jewelry design; size/weight, price, and aesthetics. 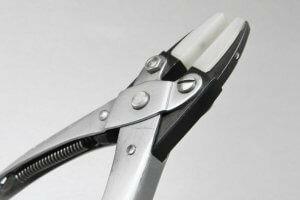 Clasps all do a similar job, so there is always more than one solution to choose from. However certain styles are ultimately more suited to some tasks than others, and so this is why we have put together this handy guide to give you a helping hand when it comes to selecting the clasp you need. 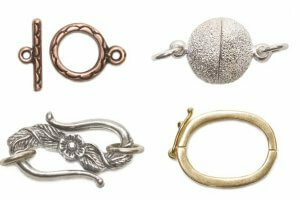 Sliding clasps are a relatively new concept in jewelry. They contain a silicone insert with a small hole in the center, which will grip anything that is pushed through it, thus completing the loop and securing the piece. These types of the clasp are great for casual style beaded bracelets and necklets, and allow the size to be adjusted merely by pushing the slider clasp up or down. They do require a slightly more heavy chain with a sharp end to work well, to enable the silicone to grip it as it is pushed through the clasp. Snake, box or bead chain will all work well, as well as thicker leather or cotton, provided they have nice solid end caps. Albert swivel clasps tend to be on the larger, side and were named after Prince Albert who was consort to Queen Victoria in 1837 – 1901. They were designed to go on the end of pocket watch chains, to enable the wearer to bring out their watch and look at it without the attached chain getting twisted and tangled. They are unique in their design and are an excellent choice for functional objects such as key rings or bag charms, where full maneuverability is essential. Be careful though, as many ‘swivel clasps’ are sold with a fixed top and don’t swivel – so you need to read the details carefully before purchasing. 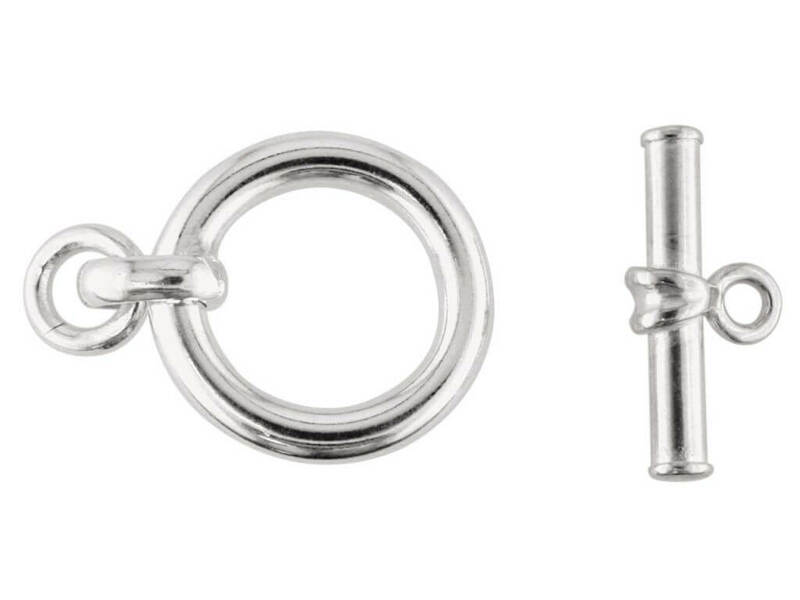 Sizes in our range vary between 13mm – 29mm and are available in sterling silver, 9ct gold, and bronze which means there are plenty to choose from. These clasps have been grouped as they both work in the same way. 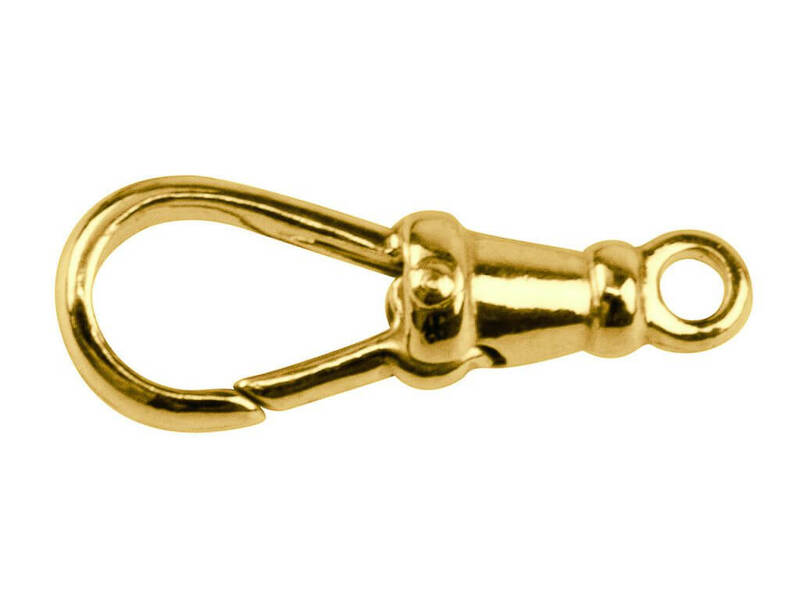 Once the hook or t-bar is inserted into the ring, the weight of the necklace or bracelet will pull each finding in opposing directions, thus securing them together. It is a simple mechanism, but gravity ensures that it works! The t-bar and ring concept comes in many different designs and is often quite decorative so can become an integral part of the plan of your piece. 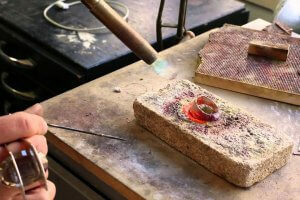 You need to ensure that the t-bar itself has a functional overlap of the ring and that there is enough weight in the body of the bracelet or necklace to provide a secure connection. Hook and ring clasps are suited to lighter pieces and are often used for beaded designs where a more delicate fitting is more appropriate. If you are skeptical of these types of plans, don’t be as they work well and are more secure than they look. 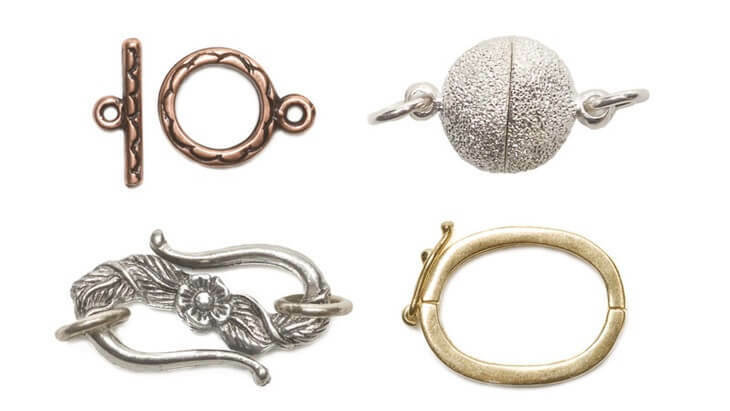 Of course, there are many more types of jewelry clasp to choose from, including bolt rings, lobster clasps, trigger clasps, and magnetic clasps.